Disclaimer I received these products for free for my honest opinion I would only recommend products that I truly love and would use myself. 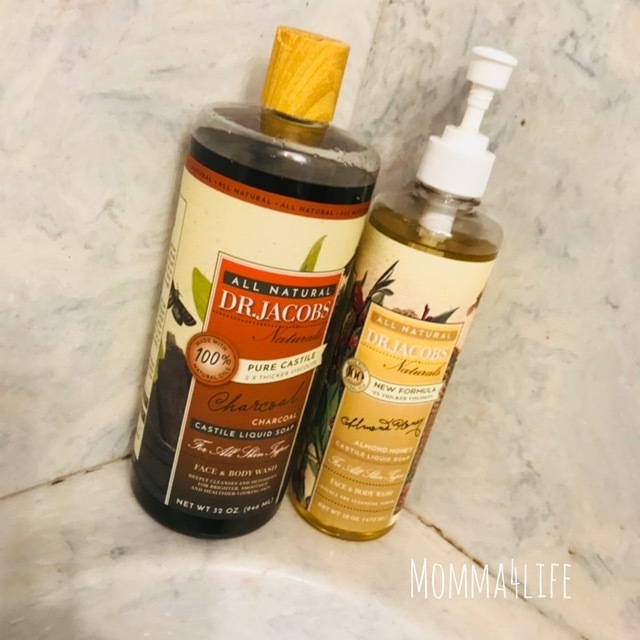 I have been using Dr. Jacobs naturals for a while now. I received the huge bottle of The all natural Dr. Jacobs 100% pure Castile thicker velocity charcoal liquid soap for all skin types to use on the face and body. 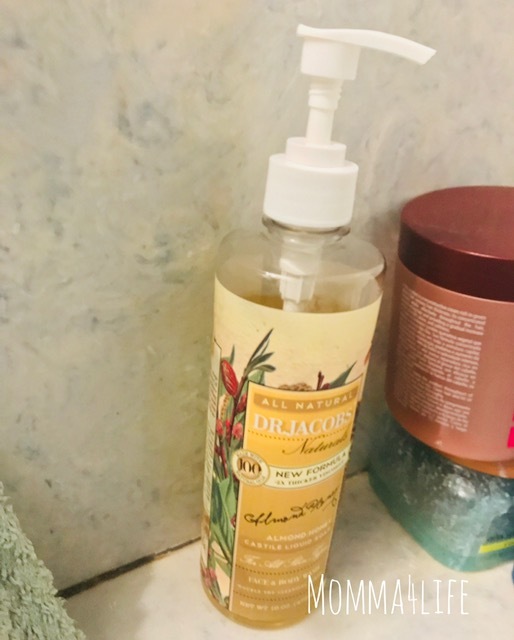 The next item I received was the Doctor Jacob's all natural 100% new formula that is two times thicker almond honey Castile liquid soap also for the face and body. First I will tell you about the charcoal liquid soap that I have been using I got a huge bottle so it's going to last me a long time. I am using this before face wash and seems to be working really well after using this so my face feels really clean and soft. This bottle is 832 outs 946 mL bottle. I will start using this soap as a body wash as well just because we have so much and I don't want it to go bad. This has a really good feeling so and will last us a long time. The next item was the honey and almond soap this soap smells absolutely amazing even my daughter mentioned how great it smelled. I actually really love the scent of this as well anything scented gets my attention. It also smells pretty good and you feel pretty clean after. You can use this soap as a body wash or face wash as well.